This post isn’t so much about our travels as a family as about my personal journey to a point I would never have imagined I’d be. On the day before I can (hopefully) call myself an ultra marathoner I have been reflecting on how I got here. I won’t be offended if it’s not something to interest everyone, especially if you read this blog out of interest on how we travel with children, but here is my hijacking of the blog for a long winded moment. As a child and during my adolescence I was never sporty or athletic. In fact I was mostly overweight and had very little confidence in my physical ability. As I got older and encouraged by friends, I started to have bursts of activity periods where I would regularly exercise, drop weight and feel better about myself. Then I would get complacent or have an event that impacted my mental strength and stop working out, pile the weight back on and ultimately feel like I had again let myself and everyone else down. I didn’t really start running until around 2010. I was regularly walking and hiking with a group of friends. The previous year we entered a charity hiking event in Adelaide, Trailblazer which raised funds for Operation Flinders. The event was just over 30km. In 2010 we decided to up the anti and enter the 50km event. As part of my training for this I began to run. It was incredibly difficult and I’m not really sure I enjoyed it all, but I persevered. 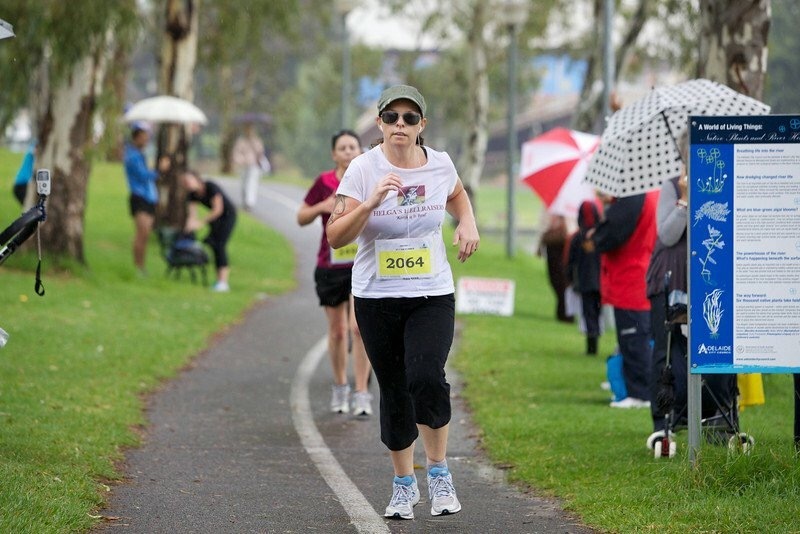 I entered my first ‘fun run’, The Mothers Day classic. It was 7km and at the time, the furthest I had attempted. I remember the feeling so clearly that day. I really thought I was going to die. But I didn’t and I got to the finish line and burst into tears. That year we also successfully got through the 50km Trailblazer event. We were never going to set any records but we finished. Of course the next year we made the decision that the 100km should be done. Running didn’t come naturally. It is something I have to work at and still do – a lot. To attempt the 100km though I really needed to work on my fitness, so I embraced running within my workout schedule. In 2011, in the leadup to the Trailblzer 100km, I ran the City to Bay 12km, where in previous years I had walked it. And I was happy with my time. I also did my first half marathon. The Greenbelt half in Adelaide. Truth be told I chose this event because the course was on a downhill incline over most of the event and I didn’t think I had the ability to do a more difficult course. It rained during the race, which when you run wearing glasses is a consideration. I surprised myself that day (and maybe a few others as well). I was so proud of myself that I not only finished but it was an ok time and I did not stop and walk. Crossing that finish line was probably the point I can look toand say that’s when I began to enjoy the feeling running could give. And then I burst into tears. In October 2011, along with my team, and after a huge effort we completed a 100km event through the Adelaide Hills. It took around 30 hours and I think we limped over the line in second last place. To finish that though was pretty amazing before I burst into tears. Straight after this I fell pregnant with my first child. Followed two years later by another. Being mum is amazing but physically it was pretty awful. I was again struggling with my weight and really struggling with how to fit in exercise. With the support of Dave and a decision that it needed to change I threw out all the processed food in our house, overhauled our eating with the help of a step by step program and slowly reintroduced being active. Eventually I began to reintroduce running and had to start right back at the start again. Back where it was slow and painful and I had to talk myself into each pre dawn attempt. As I started to lose weight and jiggled less I was less self conscious and I began enjoying it again. That’s about the time we decided to pack up our lives and move into a tiny caravan to travel around oAustralia. Travelling hasn’t been all easy to maintain fitness and weight. However I have managed to somewhat incorporate it into our lives now. With a very supportive husband and children who now accept that mum disappears ‘to go running’ I use it as my ‘time out’. And have found I’m now well on my way to achieving a goal to race in every state of Australia. 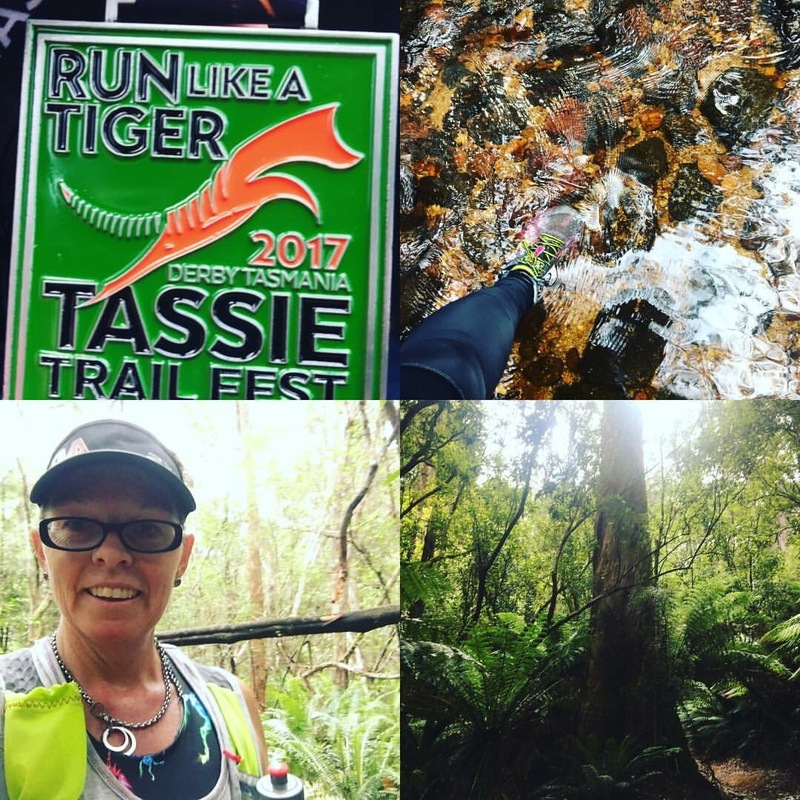 Obviously South Australia is done, and with two half marathons in Queensland (Noosa and Gold Coast), a half marathon trail in Tasmania, and this weekend, the UTA50 in the Blue Mountains of NSW. So how on earth am I running an Ultra marathon? I blame two people. My best friend Sel and my cousin Jo. 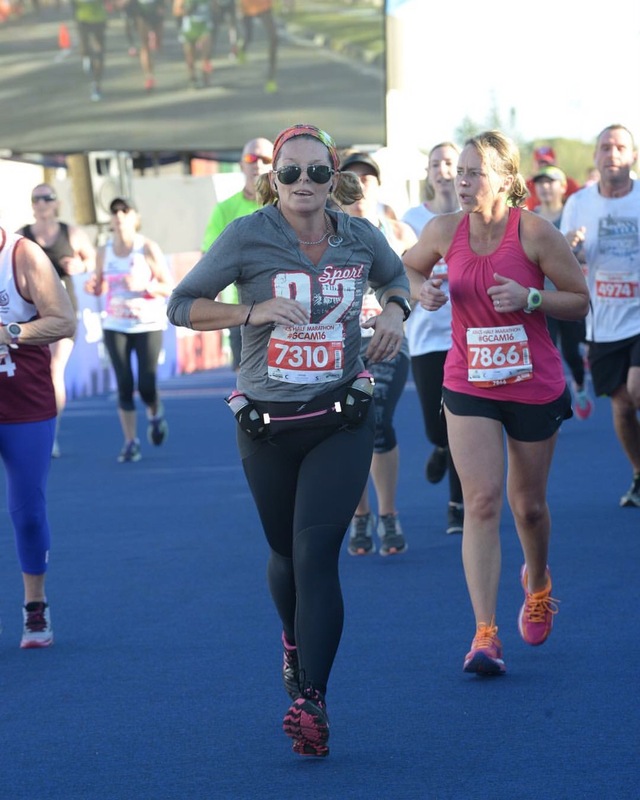 Sel challenged me to do a marathon after Gold Coast last year. We were planning on doing the Great Ocean Road Marathon together. And Jo introduced me to trail running while we where in Townsville for a work stop on our travels. Both Sel and Jo separately did UTA50 last year and guess who had serious FOMO? So while living in the tropics in a Queensland rainforest at the time of registration last year Jo calls me and gives me 5 minutes to decide if I am in for this year. Fast forward to today. I am on a plane on the way to Sydney, then the Blue Mountains. I am crapping myself. I do not feel prepared. The weather forecast is for a months worth of rain on race day. But there’s no backing out now. Right now I just need to line up tomorrow morning and put one foot in front of the other until we reach the finish. Before I will no doubt burst into tears. Wish me luck and I will check back post race!